Anyone who has ever pastored or attended a small town church can appreciate the reality of the “one who runs everything.” Those closed communities where the same folks have lived on the same land for generations are sometimes situated around those churches that I call “family owned and operated.” Everyone in the church is related, except the pastor of course, so even when they are fighting with each other blood is thicker than water. And God forbid the pastor step into one of those family squabbles to find it like grabbing a rabid dog by the tale. The setting of The Devil in Pew Number Seven is just such a place. In 1969 Robert Nichols moved with his wife to Sellerstown, North Carolina to serve as the pastor of Free Welcome Holiness Church. The church had dwindled to 12 women and one man attending when Nichols and wife Ramona arrived. Before long they became aware of “the devil in pew number seven,” an influential county politician and business man, Horry James Watts. Although not a member of Free Welcome, Watts exuded enormous influence on the congregation and was not pleased when the people began to ignore his influence to follow Nichols’ leadership. Watts, who reminded me of John Wallace from Murder in Coweta County, had numbers of people under his thumb by virtue of economic leverage and pure meanness. 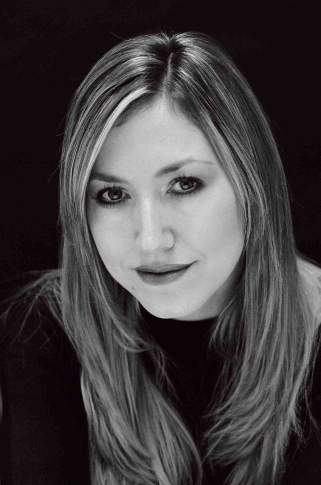 After a short amount of time, he began to wage nothing short of a terrorist campaign against the young pastor, his wife and two children, the oldest of whom, Rebecca, is the author of the book. If you are a pastor and are thinking, “Yeah, been there; done that,” do not jump the gun. Most in the same situation have experienced gossip, active opposition, mean spirited behavior, business meeting disruptions and the like. The Nichols experience dynamite blasts, sniper shots, threatening letters and phone calls and more coming, primarily, from this one man. The book chronicles the efforts of the church and of local and federal law enforcement to curtain the attacks, but to seemingly no avail. It also follows Robert and Ramona Nichols as they endlessly try to model Jesus Christ in the face of unflinching adversity. It is an extraordinary story of forgiveness, blessing those who persecute us and sacrifice. A word to guys: Much of this book is like reading a memoir as the author shares her growing up years, her relationship with her Mom, Dad and friends (especially a nearby neighbor). Many sections have a distinctly feminine feel and I was tempted to skip them. I think these areas will appeal much more to women (most of the reviewers at Amazon are women), it is worth reading through them to gain some perspective on how pastors children see their parents and the ministry. Another warning is that the book is an easy read, but not easy to read. In fact, it can be brutally heart-rending at times. The deep well of empathy for Nichols and his family is likely to cause more than one spike in blood pressure as Alonzo’s story forces us to answer this question: how much suffering is one soul worth? 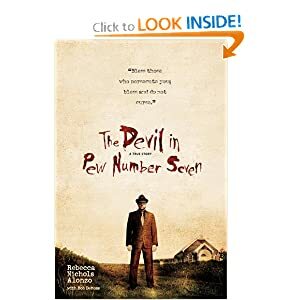 You can order The Devil in Pew Number Seven through the Amazon link below. You pay the same low price and I get a small commission.